During his residency, Bayeté created a prototype for a larger public art project titled Boombox as Community Music. 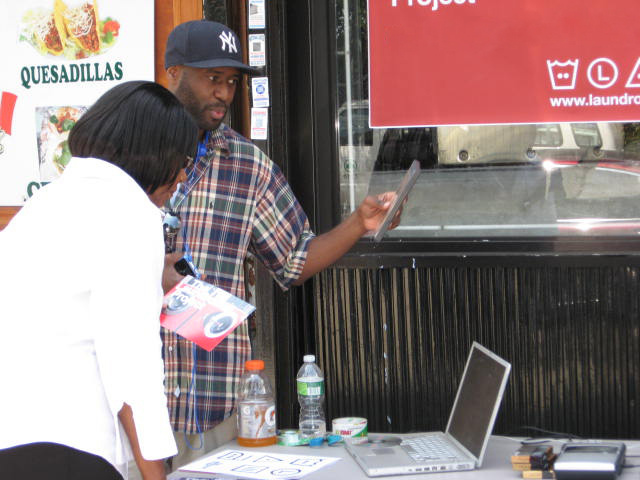 Through workshops offered at his local laundromat in Washington Heights, he worked with his neighbors to collect and record music and sound recordings that have personal significance to them. Bayeté’s larger project broadcasted a series of musical mashups from these contributions. next post: Sustainable. Organic. Stewardship.